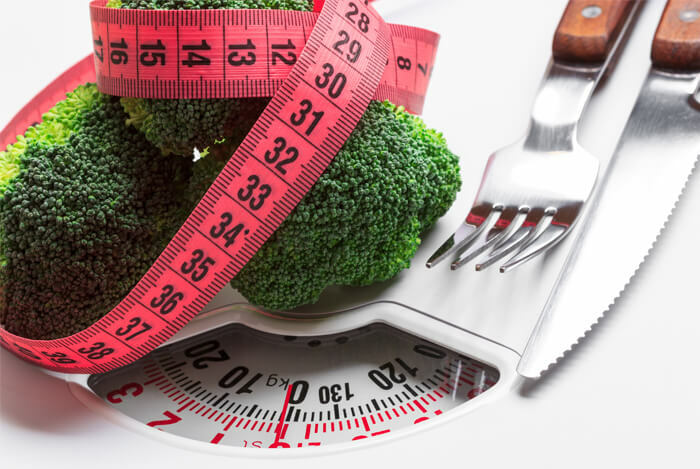 Losing weight can be a struggle no matter what type of dietary approach you take, but more and more research shows that plant-based meals may help you along your journey. What Does Plant-Based Even Mean? You don’t need to be a perfect eater or even a vegan to eat more plant-based foods either. In fact, there’s no such thing as eating perfectly, and vegan foods aren’t necessarily health foods. 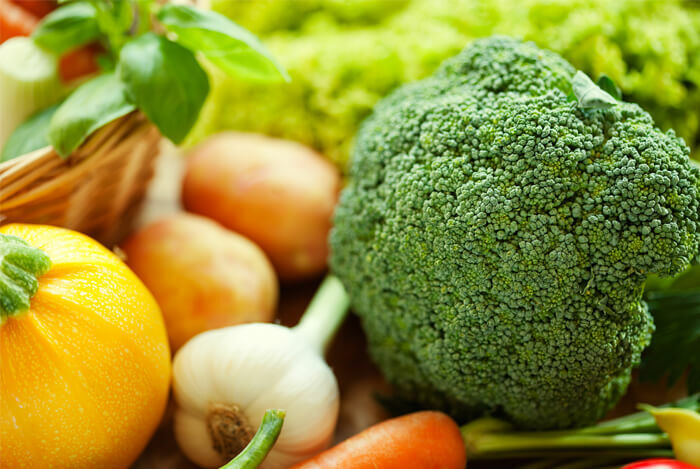 Plant-based foods include foods such as vegetables, fruits, whole grains, legumes (beans, peas and lentils), raw nuts and seeds. It’s best to eat a balance of foods instead of eliminating whole foods groups. This ensures you get the benefits of a variety of foods, while minimizing the intake of harmful compounds. After that, healthy fats from foods like avocados, olives, coconut, flax, chia, hemp, and a variety of raw nuts can then help make up the rest of your dietary needs for healthy omega-3, 6 and 9 fats from whole plant foods. Studies have shown that a plant-based diet (or one just a diet that is rich in plant-based foods) can greatly increase your odds for extended longevity, better heart health, reducing your risk of obesity and high blood pressure, and especially improve your chances at optimal, long-lasting weight loss. Therefore, it would be in your best interest for your overall health to eat more plant-based foods at every meal no matter what kind of eater you are. 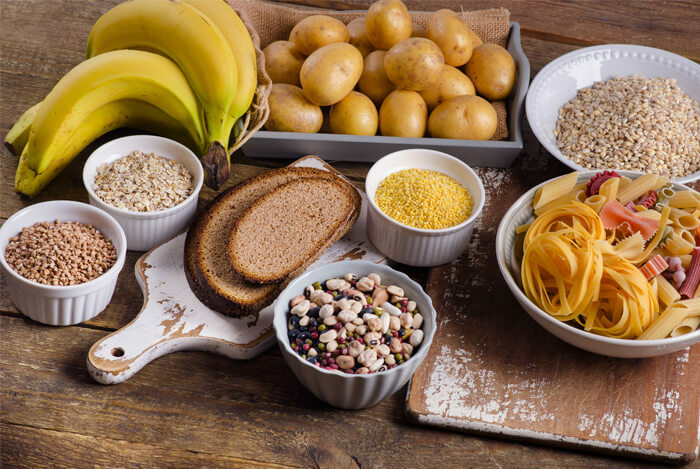 Contrary to belief, it’s not fruit or whole grains that cause weight gain because they’re carbohydrates. 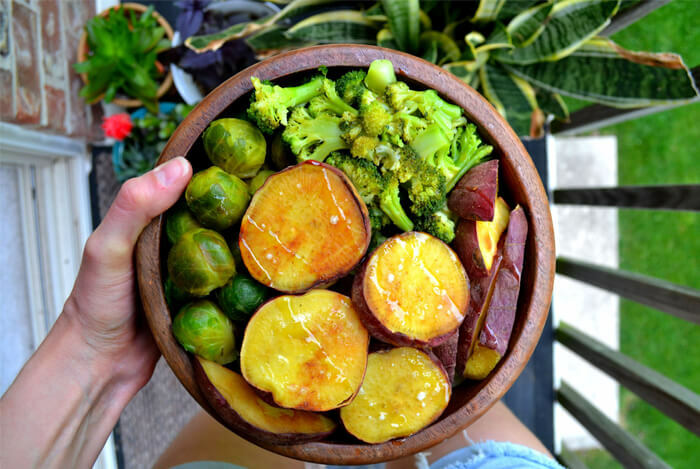 Your body needs carbohydrates just like it needs healthy fats and protein. However, when you consider the fact that plant-based foods are made up of mostly fiber, water, and a variety of vitamins and minerals— along with multitudes of amino acids that support lean muscle mass— it’s easy to see why they contribute to long-term heath. 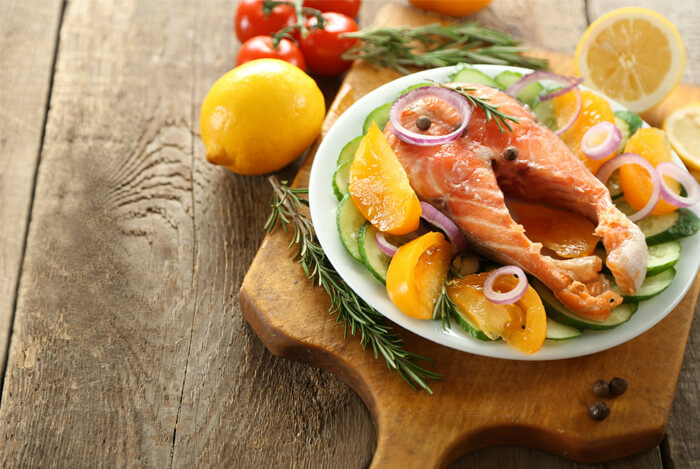 If you feel you need more omega-3’s and animal protein, consider fish, which is one of the leanest sources of animal protein and one of the best for keeping calories under control. Want to test out some plant-based meal ideas to enjoy at home? Here are 3 great plant-based meal ideas that you can enjoy in your own routine. Feel free to trade out your favorite greens, grains, and fruits for those listed here, but keep in mind the benefits of ingredients listed below for weight loss efforts. One-half cup of whole grains oats supplies you with 10 grams of protein plus iron, B vitamins, magnesium, calcium, and 12 grams of fiber. It will help keep you full for hours. If you’re in great health already and just need to drop a few pounds, oatmeal is a common food eaten among dieters and bodybuilders everywhere looking to lean out while retaining lean muscle mass. Berries are also a good source of Vitamin C.
Finally, chia and flax provide additional dietary fiber, healthy omega-3 fats, and protein. Chia seeds are even a complete source of protein. 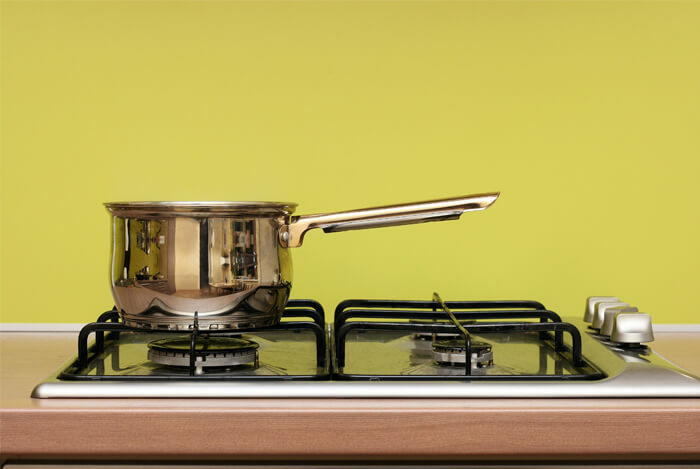 Prepare the whole grains as instructed on the package and cook with cold, filtered water. You can use a little unsweetened non-dairy milk along with the water if you prefer ( one cup or less). 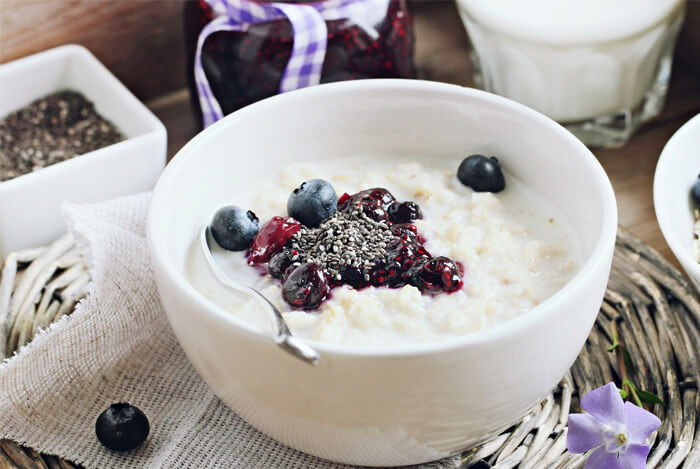 Once the oats are prepared, top with the berries, flax and/or chia, and then if you would like more sweetness you can add a little pure stevia (a natural herbal sweetener to taste). Enjoy while warm or let it cool down for later to enjoy. Cook up this oat porridge recipe for breakfast or even as a quick dinner on nights you prefer something sweet instead of savory. First, kale is high in fiber but low in calories, and we all know that kale is one of the most nutrient-dense foods you can eat. Since it’s a green veggie, it’s also low in calories and carbs but high in nutrition. This meal’s healthy complex carbs and protein come from the quinoa and lentils in this recipe. Quinoa is a seed that is a complete source of protein and can be used in either whole seed or flake form. It’s also a good source of iron, B vitamins, magnesium, protein, and potassium. It also has some natural omega-3 healthy fats and is a great source of the amino acid, lysine, shown to improve lean body mass and muscle retention. Lentils are high in protein and fiber. In fact, lentils are one food consistently linked to improving lean body mass, heart health, and weight loss. The red ones tend to taste a bit nuttier, sweeter, and they even cook up more quickly than other varieties since they’re split. Finally, lentils are a great source of iron and zinc, two minerals you need for an optimal nutrition. Zucchini is one of the most overlooked sources of Vitamin C and potassium among all plant-based foods. It’s also filled with fiber and water which helps keep you feeling fuller longer. Zucchini is delicious when cooked either in grilled or steamed form. Rinse the lentils and whole quinoa if using whole quinoa seed (if using the flakes, just rinse the lentils). Add the rinsed lentils and quinoa to a large stock pot with 1 cup no-salt-added vegetable broth or low sodium vegetable broth. Bring it to a boil, and then reduce the heat to medium heat. Cook for 30 minutes on medium heat, uncovered, orr as directed on the packages (both ingredients are very similar in the way they cook). Meanwhile, either grill or steam up some zucchini. You can chop it into cubes, slices or strips, whichever you desire. Squeeze some lemon juice and add some black pepper on top for more flavor. Once the quinoa and lentils have finished cooking, set them aside away from the stove, add the zucchini, and give it all a good stir. Next, toss in the baby kale and add a tiny dash of sea salt if you would like more flavor. Stir all of the ingredients together well and put the lid on for 5 minutes to steam up. This will cook the kale without you having to! Serve with extra spices and herbs if desired, such as black pepper, oregano, garlic powder, or a salt-free, all-purpose seasoning. Top with hemp hearts or cashews for some heart-healthy fats, iron, and a little more protein! Eat this for lunch or dinner and make extra for leftovers; it’s extremely filling and packed with nutrition! Greens packed with iron, fiber, magnesium, amino acids, B vitamins, and Vitamin C plus Vitamin A and E.
While you do want to actually eat your greens too, using them in a smoothie is a smart way to increase your intake of them without much effort. 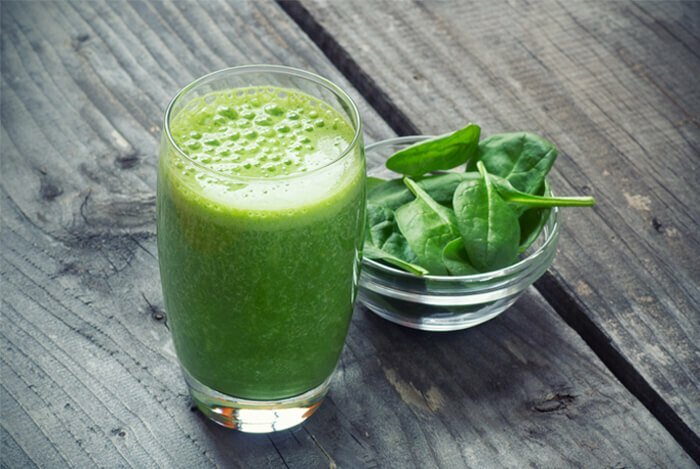 However, most green smoothies contain more fruit than greens. Fruit doesn’t automatically make you gain weight, but balancing your calorie intake is good for long-term weight loss, and fruit is possible to overeat in a smoothie. So in this recipe, we’ll be using a little fruit with mostly greens and some lean protein. The lean protein in this smoothie comes from hemp, chia, raw almonds, flax, and oats. These ingredients are loaded with protein, fiber, vitamins, minerals, and they help make your smoothie thick and creamy. Add all the ingredients to your blender in the order listed. Blend on low, then progress to high and blend until thick and creamy. Use only 1 cup of water if you want to make this a smoothie bowl to eat with a spoon which will make it thicker so you can enjoy it out of a bowl versus drinking it. Top with extra fruit for a garnish or enjoy as is. Enjoy this for breakfast or even a quick lunch, and it’s even great to freeze and thaw for later use if you want to use it for easy, plant-based meal prep ideas. Each of these meals provides fiber, healthy fats, protein, and a ton of vitamins and minerals. They are complete in nutrition and each can be customized to suit your personal tastes and health goals. You can add in fish or lean protein sources such as egg whites or nonfat Greek yogurt if you need more sources of animal protein and don’t want to go completely plant-based but still want to eat healthfully. Remember, your food choices can do the weight loss for you while also improving your health at the same time. It’s also important to keep your portion sizes healthy and stop eating when you’re full, even if you have to save the rest for later. What’s your take on a plant-based diet? Have anything else you’d like to share? Let me know in the comments below!